Life at Stamping Details: Valentine's Day Sale! Come in today and save on all in stock Valentine's Day Products! 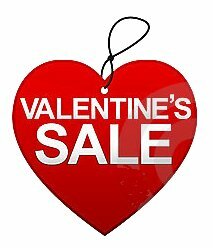 All Valentine's products 30% off February 10th-February 17th at Stamping Details!! THIS JUST IN: Penny Black Stickers! Marion Smith is coming to Stamping Details! Make 'n Take for this week....Stop in Today! A Weekend with Marion Smith at Stamping Details!! Join us for "My Enchanted Life" March 8-11th!! This JUST IN: GRAPHIC 45 NEW LINES!!! New Product Alert: NEW BO BUNNY IN! New Product ALERT: New Julie Nutting from Prima! Mixed Media Class with Jamie Dougerty - Feb 23rd! Zentangle Faux Leather Wallet Class with Suzanne! Love is in the Air with Magdalena - February 9th! Valentine's Class with Donna - February 5th! Bracelet Class wtih Sharon - February 3rd!